Healthy Easter Treats Easter Energy Balls. Fancy making some of these Easter Energy Balls? Are you looking for a healthier alternative to store-bought Easter eggs? Healthy Easter Treats Easter Energy Balls- You would never know these little balls of loveliness were actually healthy chocolate treat so don’t deprive yourself this Easter! Simple to make and packed full of super tasty ingredients. 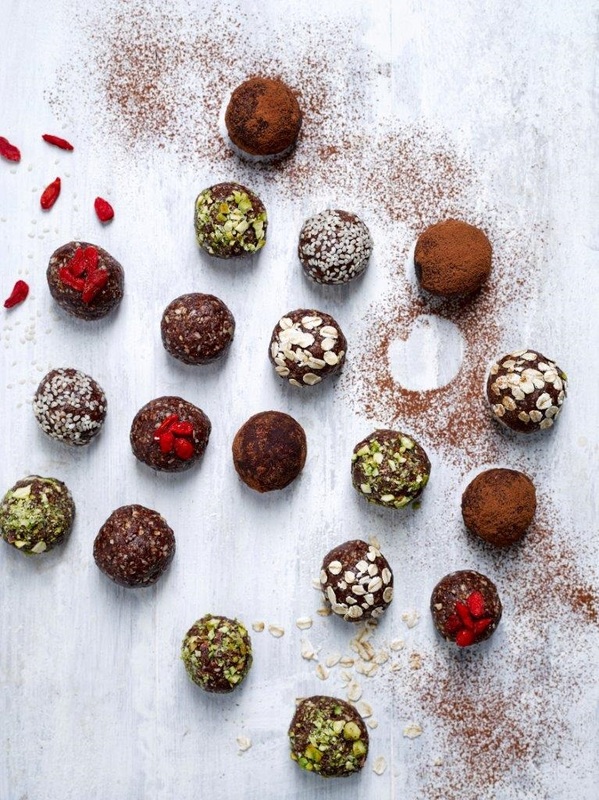 These energy balls can be left plain or rolled in a variety of coatings - try using Oats, sesame seeds, goji berries, mixed seeds, toasted desiccated coconut, finely chopped pistachio nuts, raw cacao powder etc…. Store in the fridge for up to 1 week but watch out, they won't last that long! What do you think of this Easter Energy Balls for a healthier Easter treat? Do you fancy making these Cacao and Peanut Butter Breakfast Balls? "These quick and easy energy balls can be made ahead and eaten for breakfast all week"
Cacao And Peanut Butter Breakfast Balls. Are you looking for some healthy snacks to make up for before or after exercise? If so I have a perfect snack for you to try out. Today I am sharing a fitness fuel recipe created by Celebrity personal trainer and founder of Pop Up Fitness, Olivia Cooney. How To Make Chocolate Beetroot Energy Balls.